Elon Musk is infamous for claiming to work up to 100 hours a week — and certainly, with everything he’s up to, it’s not totally unrealistic to believe that might be true. But it’s certainly unreasonable to expect employees to operate the same way — and it looks like Musk is paying for it now. On Wednesday, SpaceX finally closed up a settlement for a class action lawsuit in which thousands of employees alleged the Hawthorne, California-based company did not properly compensate them. To the tune of nearly $4 million dollars, SpaceX is shelling out money to 4,100 SpaceX employees who say the company refused to allow them to take legally mandated breaks during the workday, as a consequence of how the company structured its shift patterns. Each worker will get about $500 — with the highest payouts coming out to about $2,000 per person. One third of that payout — about $1.3 million — will go to the plaintiffs’ lawyers. Three different lawsuits filed between August 2014 and October 2015 were grouped together by Los Angeles Superior Court Judge Elihu M. Berle, reports Law 360. One of the plaintiffs, Howard Smith, attempted to block the settlement in order to force the company to pay out more in a separate individual suit, but the Los Angeles court which heard the case dismissed this move. Dalia Khalili of Matern Law Group PC, representing Howard Smith, argued that her client should be allowed more time to collect more information for his suit — ostensibly as a ploy to make SpaceX settle for more. ““We just don’t see how the settlement is fair and adequate and we don’t think the court has enough information on its hands to make that determination,” she told Judge Berle last September. Berle’s response was blunt: “if Mr. Smith is unhappy with this settlement he can opt out,” he said, finding no just cause for nixing the settlement deal. California law requires rest periods for employees every four hours, along with breaks for meals. SpaceX’s shifts were designed such that workers couldn’t take these breaks, but were also not paid more for working these hours instead of resting. 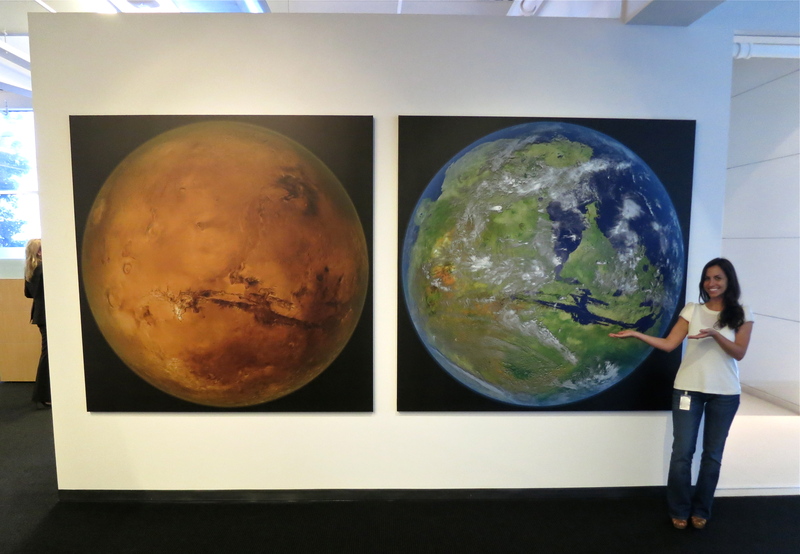 SpaceX headquarters in Hawthorne, California is focused on Mars. SpaceX (along with Tesla) standout in the tech industry as among the lowest-paying companies to work for, but it is still ranked incredibly high in employee satisfaction, according to a March 2016 survey by Payscale. It’s not clear whether the company plans to modify its employee shift structure and related operations — and a $4 million penalty is quite small compared to the rest of Musk’s finances. It may not be the kick in the pants SpaceX needs to reform their employee compensation habits, but it’s at least assuring to know not even Musk is immune to dealing with disgruntled workers.